New atheism is best known as a literary and media phenomenon which has resulted in the widespread discussion of the anti-religious arguments of authors such as Richard Dawkins, Sam Harris and Christopher Hitchens, yet it also has strongly political dimensions. 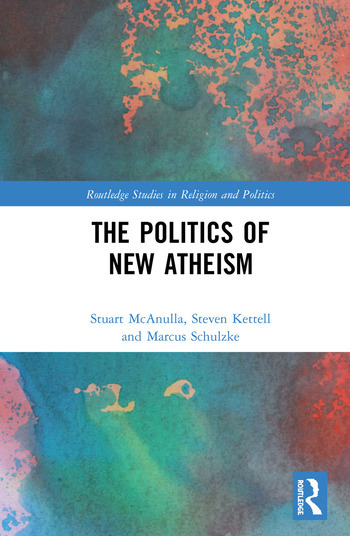 This book analyses the political aspects of new atheism and offers an analysis that is informed by insights from political science and political theory. The authors locate new atheism within a diverse history of politically-oriented atheisms. It is argued the new atheist movement itself contains a considerable variety of political viewpoints, despite coalescing around forms of secularist campaigning and identity politics. New atheist views on monotheism, public life, morality and religious violence are examined to highlight both limitations and strengths in such perspectives. Conservative, feminist and Marxist responses to new atheism are also evaluated within this critical analysis. The book rejects claims that new atheism is itself a form of fundamentalism and argues that the issues it grapples with often reflect wider dilemmas in liberal-left thought which have ongoing relevance in the era of Trump and Brexit. It will be of great interest to researchers and scholars in the fields of new atheism, political atheism, secularism, non-religion, and secular-religious tensions. Chapter 2 – What’s Really New About New Atheism? Stuart McAnulla is an Associate Professor in Politics at the University of Leeds. He completed his Ph.D. in Political Science at the University of Birmingham and has also worked as a researcher at the University of Central England. His main specialisms include contemporary British politics and the role of philosophy and social theory in political analysis. He is also interested in the politics of atheism, religion and non-religion. Steven Kettell is an Associate Professor in Politics and International Studies at the University of Warwick. He received his Ph.D. from the University of Warwick in 2003, and worked as a lecturer in British Politics at the University of Birmingham from 2003-2005. He is also a founder and Co-Executive Editor of the journal, British Politics. His main research interests are centred on the themes of non-religion and secularism. Marcus Schulzke is a Lecturer in Politics at the University of York. He specializes in security studies and applied ethics. He is particularly interested in new military technologies, just war theory, military ethics, and the political significance of popular culture.